This year we witness many impressive movies that hit the theatre, such as Gravity, 12 Years a Slave, The Butler directed by Lee Daniels and more. Among them are several films based on true stories like The Butler. If you like to watch that kind of film, I believe you will be fascinated by this masterpiece - Captain Phillips. If you missed this Tom Hanks new movie in theatre, there is news for you. 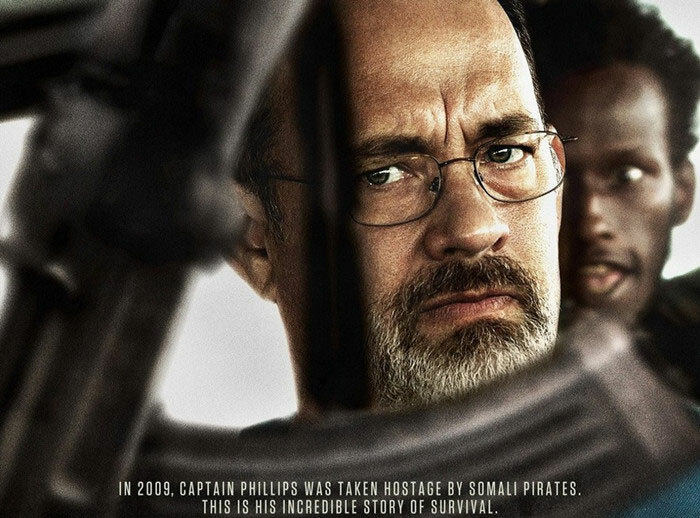 The DVD Captain Phillips is said to be released on Jan/Feb, 2014. Though you have to wait for some time, getting to know useful tips on how to back up DVD Captain Phillips in advance is totally excellent anyway. First let’s talk about this film. 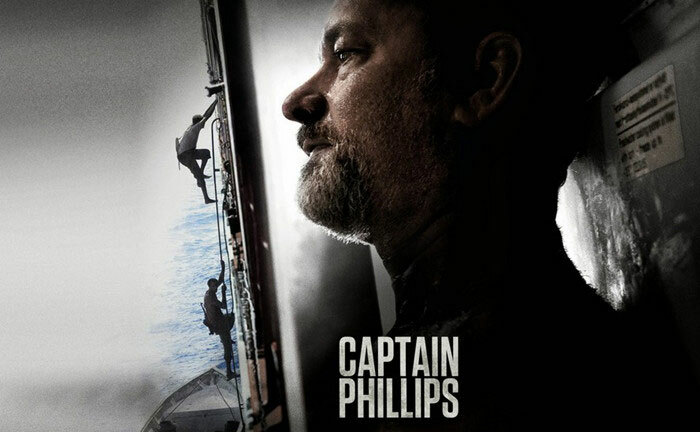 Film Captain Phillips is based on the true story of Richard Phillips and the 2009 hijacking by Somali pirates of the US-flagged MV Maersk Alabama, the first American cargo ship to be hijacked in two hundred years. Tom Hanks (two time Academy Award winner) stars in it and gives us his most powerful acting ever. Do you know the actors playing the role of Somali pirates and these playing the part of the crew had never met before filming? Yes, it’s true. The director put them up at two different hotels and both had their own rehearsals to make the audiences feel more real. If you have decided to put film Captain Phillips on your DVD collection list, you’d better know how to back up DVD Captain Phillips or in other words, copy DVD Captain Phillips and convert Captain Phillips to iPad Air or iPad mini smoothly. Follow the simple 3 steps below. To Back up DVD Captain Phillips, What Will You Need? A Useful DVD Ripper, which can easily copy protected DVDs and transfer the DVDs to your handheld devices. To save your time on looking for a professional and easy-to-use DVD ripping tool, I high recommend you with WonderFox DVD Video Converter I’ve use for quite a long time. It is more than a DVD ripper that is also used as a video converter, YouTube downloader as well as video editor. The following guide is to tell you the fastest and effective way to back up DVD Captain Phillips with a few clicks. Keep reading. Before loading the DVD, you need to make sure the DVD Video Converter has been downloaded and installed on PC successfully. Step 2: Open the output dropdown list on the right of the main interface. Select iPad Air, for example. Note: Various choices are offered. The supported devices include the newest iPhone 5S, 5C, iPad Air, Samsung GALAXY series, Nokia Lumia series, HTC One, PlayBook, Xbox, Zune, etc. You are also capable of converting video to YouTube, MySpace, Yahoo, SWF, etc. Step 3: Click “Run” to begin to back up DVD Captain Phillips. The whole task will be finished well in the shortest time. WonderFox DVD Video Converter is the best choice for both the beginner and the experienced. For beginners, it has the smart fit mode that you don’t have to learn which settings are the best of video audio quality and size for your devices. And for those who have experience, it provides 30X-50X faster conversion speed in comparison with other similar software. Moreover, you are supported to do your customized settings. Ripping and backing up DVD Gravity to PC and portable devices could be as easy as eating a pie. You can easily convert and rip them to iPhone, iPad, Android, Samsung, HTC, MP4, WMV, MOV, etc as you wish with this professional DVD Video Converter. To rip DVD Riddick – the new Vin Diesel movie is a piece of cake. With the DVD ripping tool, any DVD could be copied and converted to iPad, iPhone, Apple TV, PSP, etc.